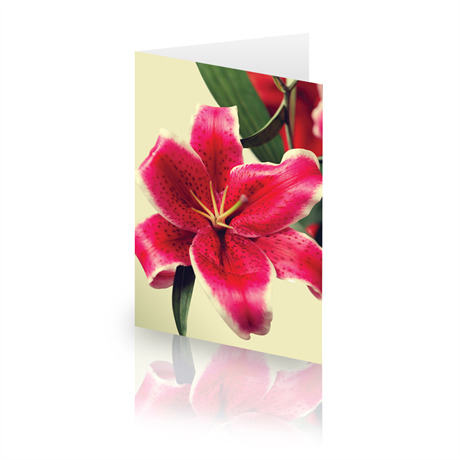 Encompassing the beauty of the Oriental lily, this designer premium card evokes images of tropical gardens bathed in sunshine. Perfect for your message of well wishes and love, your recipient will be overwhelmed with your generosity and effort. Add the extra impact to your fresh flowers with one simple click.